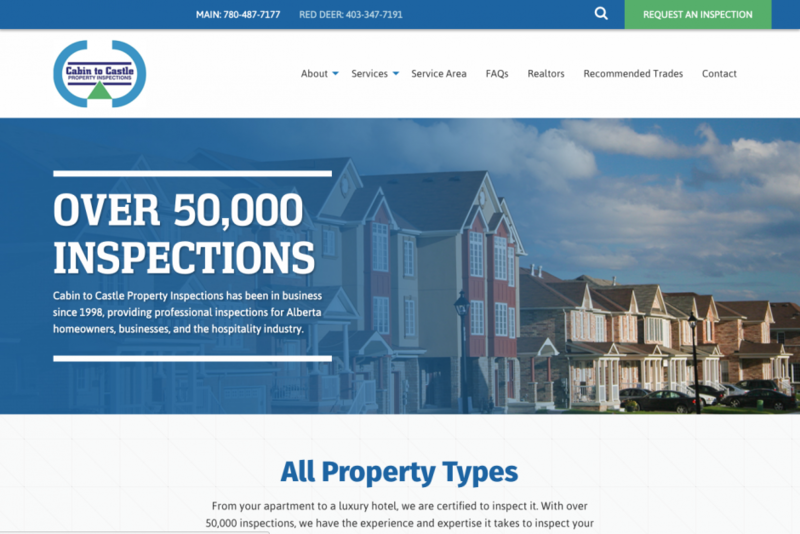 Cabin to Castle Property Inspections has been in business since 1998, providing professional inspections for Alberta homeowners, businesses, and the hospitality industry. They service all of Western Canada, so the audience is geographically broad. 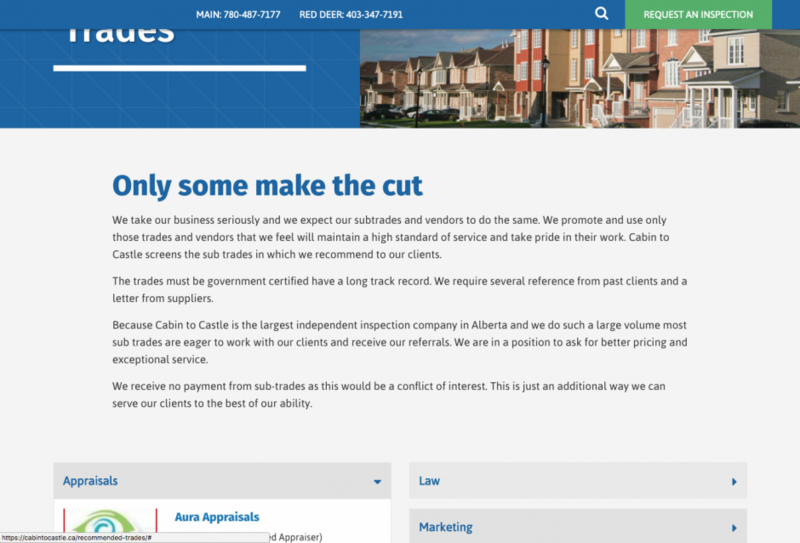 Project Summary: Cabin to Castle is one of Alberta’s most recognized home inspectors and, with all those eyes on it, their site was in need of a makeover. 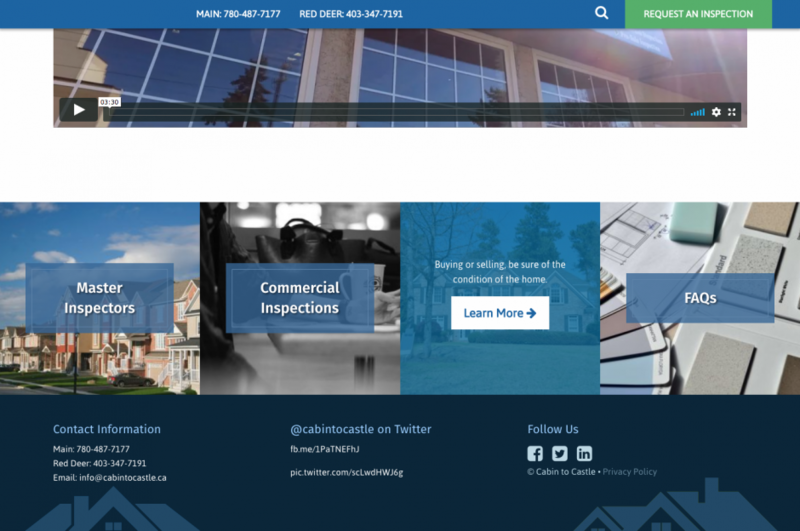 We collaborated with the Cabin to Castle team to make a whole new home for their brand, a beautiful site that holds the hand of anyone needing a home inspection, be they a first-time buyer or a multi-hotel-owning franchisee. We take them on a tour of the business and shake their hand as they fill out the user-friendly Request an Inspection form. We’re certain this site would pass an inspection!